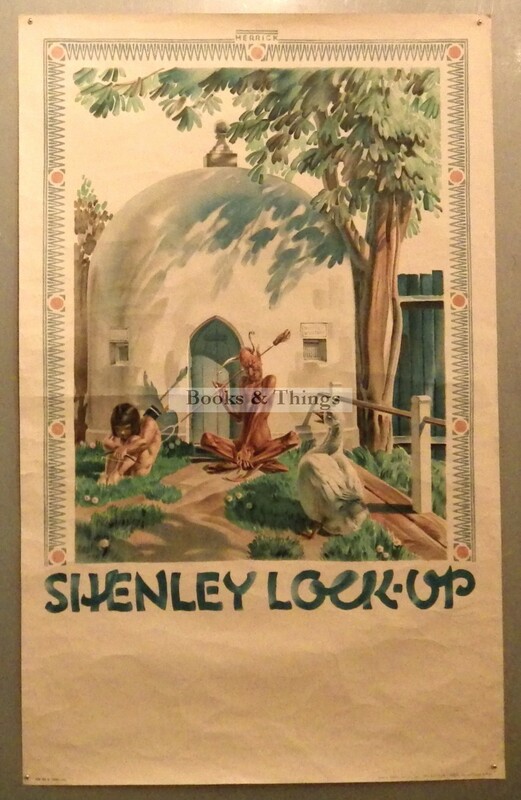 Frederick Herrick: Shenley Lock-Up 1931. 101 x 63cms (40 x 25 inches). This example is without the details of the General Bus route of the no. 84 bus. Horizontal fold and other general light creasing. Category: London Transport Posters. Tags: Frederick Herrick poster, Frederick Herrick poster for sale.